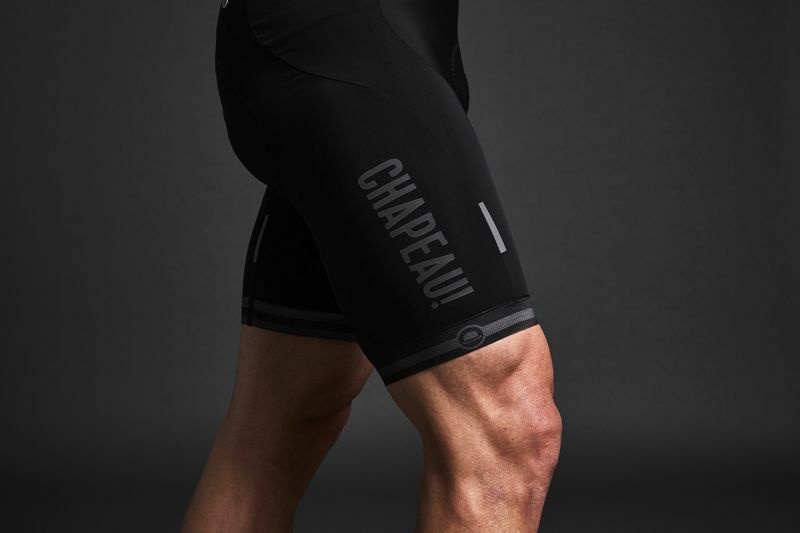 The Club bib-shorts are for the all-rounder who demands comfort and quality in every ride. Designed to withstand the rigours of daily use, be it the commute to the office or the weekend club run. The Chapeau! Club Bibshorts are our top performing, do it all, favourite. They’re designed for the commute to the office, the weekend club run, your next big race or your summer trip to the mountains. The Club bibs feature a multi-panel design and a full mesh back with a snug fit to provide stability and essential ventilation. 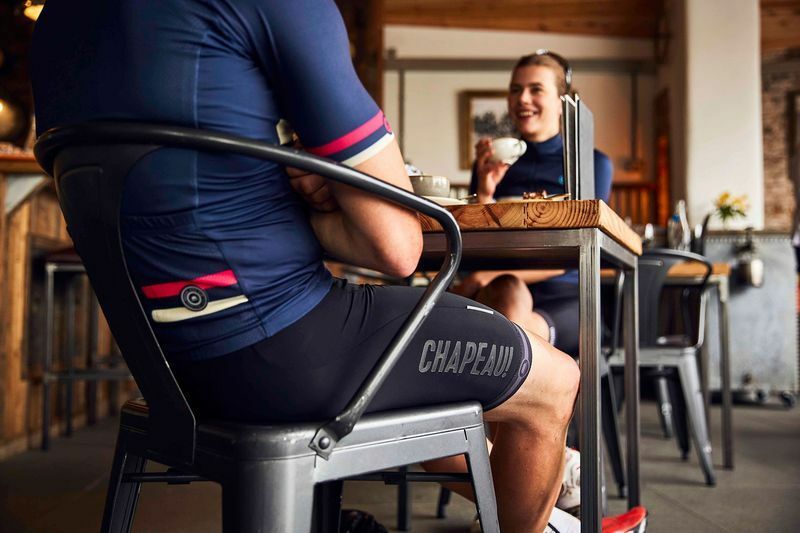 Designed and tested on our famously rough British roads, the Topazio fabric has less elasticity than regular lycra to hold tired leg muscles more firmly and reduce fatigue. With an elasticated gripper with subtle silicone printing you have all the grip you need without cutting your circulation off. Down to the finest details, we’ve created a bib short that will provide you with the utmost comfort. Where most brands use flatlock stitching which doesn’t allow the fabric to stretch, we use a zig-zag stitching for the ulitimate flexibility. An external reflective Chapeau! label adds up to a bib short that you’ll appreciate on every ride, from commuting to competing and anything in between. Really, really nice bibs. Well made and a good fit. Not a single loose thread or wayward stitch to be found anywhere. Comfortable to the point of not being aware of them. The chamois is as good as any I've tried. Fit and feel very similar to Assos. Slight compression but not overly so. At 180cm and 75kg the medium fits me perfectly. I tried a size large and that also fit. If I was a little taller, say 185cm and 80+kg I'd opt for the large. Overall very happy with them, so much so that I purchased a second pair. This is Bill, he is wearing Medium Club Bibshorts and our club socks.